Sign language gives babies a method to communicate their thoughts and feelings before their verbal skills develop. It eases frustrations and can lead to a more satisfied baby! Sign language shows parents that language skills are developing long before a baby can form words with her mouth. Sign language teaches baby how to start and continue a conversation! I went into the sign language class thinking we would just use the baby signs to communicate basic needs like milk, diaper, bath and sleep. Once I saw how easy and natural it was to add in so many other signs (dog, cat, book, mom), it really took off! My son started signing when he was 8 months old and speaks in short sentences now at 19 months. Babies who use sign language do not have delayed speech; if anything, my son spoke his first words early and his vocabulary keeps growing and growing! I'm by no means fluent in sign language; I really only know enough signs to communicate the most basic of nouns, verbs and emotions. It is, however, more than enough to feel very successful in communicating with a baby! 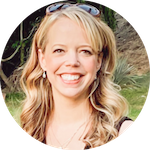 While I think a good class may provide a logical way to learn and remember the baby signs, I understand that it might not be available or realistic for all parents to seek out and attend this type of event. That's why I was so excited to find the free ASL For Babies video dictionary on ASLPro.com. The site provides very fast-loading videos of individual signs that are considered “basic” baby signs. You can pick and choose which ones you want to view, and watch them over and over again for free! After seeing this and searching around, I also came across the Baby Sign Language site at Babystrology. It has a similar setup, except a computer-generated image models each sign continuously until you choose another one to view. I also headed to my local library and checked out both Baby Signs from Baby Signing Time, Baby Signs 2 and Baby Signs 3. Between the three of the DVDs I had a refresher of everything I learned in the class and a great way to have my husband learn the same signs. There were a few other baby sign language DVDs available at the library, but I was more than satisfied with the three that I checked out. 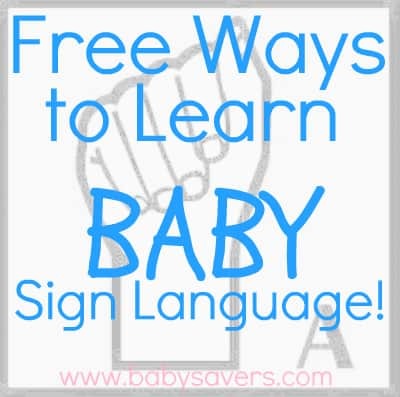 All of these links are fantastic for getting learning the basics of baby sign language! If you have any tips or other resources to suggest, please let me know. I swear by baby sign. It is the best thing ever. My son is two and still learning new signs and perfecting the old ones. I am lucky and have free baby sign classes here in San Diego. We have so much fun and learn new signs all the time. I also have a great book that got me started. It is called Pick Me Up- fun songs for learning signs. By Sign 2 Me. It has a song cd and pictures of all the signs for the songs. I recommend it to anyone who is learning sign. Glad you are putting it out there for everyone to learn about baby sign. Signing Time has some videos on YouTube. I love those. I think it is also important to remember that there is a difference between baby sign and American Sign Language. I think teaching ASL is the way to go, especially after I watched my 20-month-old son sign with a deaf person.